Matt Whitaker Ransom (October 8, 1826 – October 8, 1904) was a general in the Confederate States Army during the American Civil War and a Democratic U.S. senator from the state of North Carolina between 1872 and 1895. Matt Ransom was born in Warren County, North Carolina, to Robert and Priscilla Whitaker Ransom. He was the elder brother of General Robert Ransom and a cousin to fellow Confederate officer Wharton J. Green, who served as a U. S. Congressman after the Civil War. He graduated from the University of North Carolina in 1847, where he was a member of the Philanthropic Society. After serving as North Carolina Attorney General and as a member of the North Carolina General Assembly, he was chosen as one of the three commissioners from North Carolina to the Confederate government at Montgomery, Alabama in 1861. Ransom was commissioned lieutenant colonel of the 1st North Carolina Infantry Regiment and later Colonel of the 35th North Carolina Infantry. This regiment was part of his brother Robert's brigade, which Matt later commanded. Ransom was promoted to Brigadier General on June 13, 1863. Ransom saw action in the battles of Seven Pines, the Seven Days Battles, Antietam, Fredericksburg, Plymouth, Weldon, Suffolk and the siege of Petersburg. He was wounded three times during the Civil War and finally surrendered at Appomattox. After the war, Ransom moved to Weldon, North Carolina, in 1866 where he was a planter and lawyer. 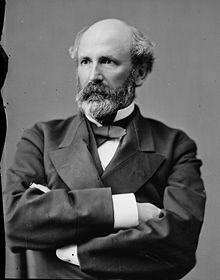 In 1872, he was elected as a Democrat to the United States Senate to fill the vacancy in the term commencing March 4, 1871. Ransom was re-elected in 1876, 1883, and 1889 and served from January 30, 1872, to March 4, 1895. Ransom served briefly as President Pro tempore of the Senate during the 53rd Congress. He was later appointed United States Minister to Mexico and served from 1895 to 1897. Following his term as ambassador, Ransom retired to his estate, "Verona" and engaged in agricultural pursuits. He died near Garysburg, North Carolina, on his 78th birthday, October 8, 1904. Ransom was buried on his estate, near Jackson, North Carolina. Verona was listed on the National Register of Historic Places in 1975. ^ "Ransom For Minister To Mexico. The North Carolina Senator Is Named by the President and His Nomination Is Promptly Confirmed". New York Times. February 24, 1895. ^ "Ransom, Poor In Senate, Dies, Leaving Fortune. North Carolinian Made $250,000 by Farming in Old Age. Defeated By The Populists. Controlled the "Old North State" Politically Until Marion Butler Succeeded Him in Senate". New York Times. October 9, 1904. National Park Service (2010-07-09). "National Register Information System". National Register of Historic Places. National Park Service. "Matt Whitaker Ransom". Find a Grave. Retrieved 2008-02-13.